Imagine you know a man who smiles to your face, but slanders you behind your back while stabbing you in it every chance he gets. How outrageous would it be if he was shocked when you didn’t invite him to your latest event? This basically describes the situation with the Fake News (mainstream) Media, which, after propagandizing against Republicans for decades and demonizing Donald Trump during the 2016 general election, now is up in arms that they may lose their prime-spot monopoly over covering White House press briefings. At issue is that “the president-elect was considering moving briefings from the James S Brady press briefing room, which has been used by presidents to address the media since 1970, to a venue with a greater capacity,” according to the Guardian. This would allow the alternative (new) media — often where the truth is found today — a true seat at the White House press-room table. The Guardian also stated that the move is “likely to be interpreted as a hostile rebuke to conventional media outlets around the country” — and that rebuke is long overdue. It was revealed last year by Wikileaks that some media “effetes” (if Hillary Clinton can turn “deplorable” into a plural noun, then I, too, can have my way with an adjective) were actually colluding with Clinton’s campaign, allowing her veto power over quotations and giving her debate questions ahead of time. Yet this is but the iceberg’s tip. Almost monolithically left-wing, Washington correspondents were shown by a well-known poll to vote Democrat 93 percent of the time. These media effetes long ago abdicated their responsibility to seek truth, and their bias is significant enough to aid “Democratic candidates by about 8 to 10 percentage points in a typical election,” wrote UCLA political science professor Tim Groseclose, who conducted a study of the matter (I believe he underestimates media’s impact, mind you). In reality, the effete media are terrorists of the pen. Being our conduit of information, it’s as with a computer: garbage in, garbage out. How can Americans make correct decisions on what policies and politicians to support if they’re fed incorrect data? Truth be known, however, the de-emphasizing of the effete media should have occurred already under the George W. Bush administration. It’s as if the Republicans have been an abused partner in a bad relationship: despite being bloody and bruised, they couldn’t bring themselves to walk away. That this has changed means, as Newt Gingrich said on Sean Hannity’s Jan. 11 Fox News show (video below), the incoming administration “can close down the elite press.” Note that access to the president is the big time; it means world-class exposure and the advertising revenue attending it. And money is media power. 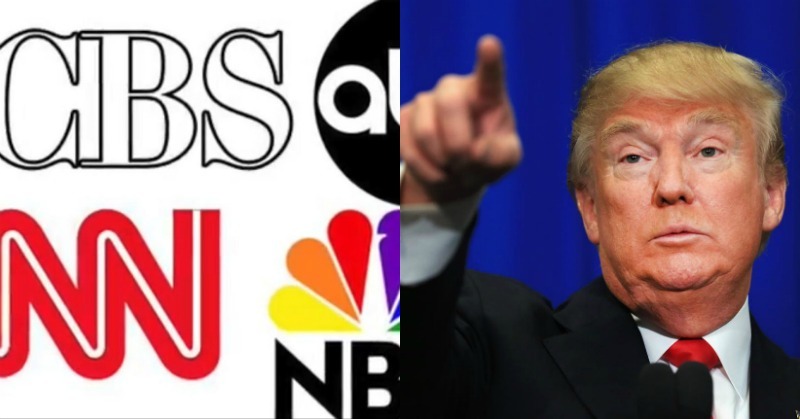 After winning an anti-establishment political victory, Trump can help win an anti-establishment media victory by simply giving the new media the exposure the effetes, quite arrogantly, consider their birthright. They may not be sitting in front of him for long.